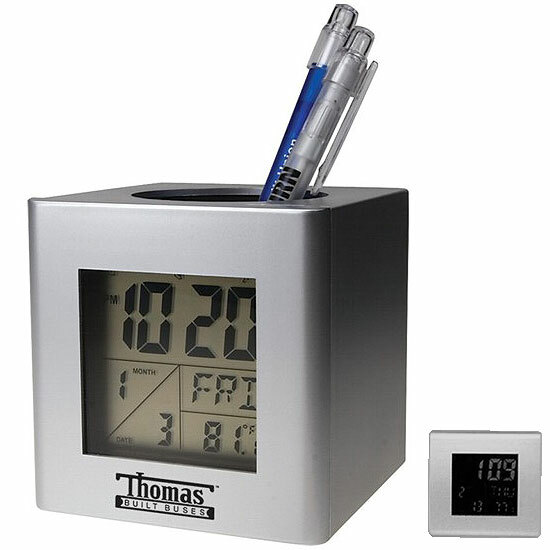 Pen Holder with Calendar & Alarm Clock displays time, date, temp.and more. Displayed in clear large legible types features: face plate turns display color from standard to inverted by turning it 90 degrees. Rotate bezel to invert display color. 3.26" x 3.26" x 3.26"